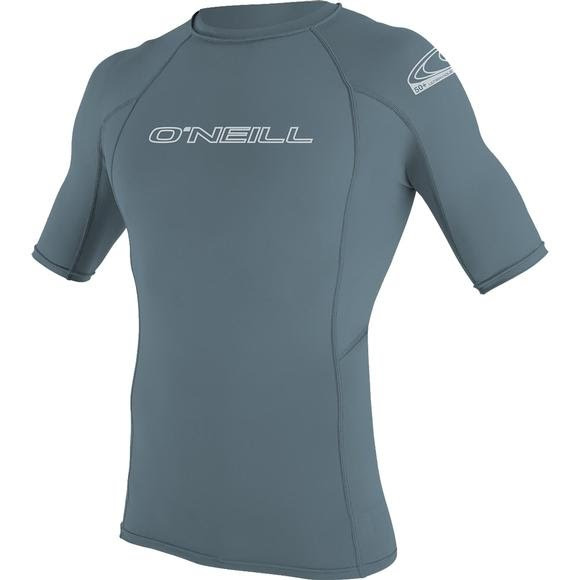 Stay protected with help from O'Neill Basic Skins S/S Crew Rashguard. The Basic Skins offers 50+ UV protection with the world-renowned Oneill fit. A clean designed graphics complete the package for a value-driven customer. Stay protected with help from O&apos;Neill Basic Skins S/S Crew Rashguard. The Basic Skins offers 50+ UV protection with the world-renowned Oneill fit. A clean designed graphics complete the package for a value-driven customer.